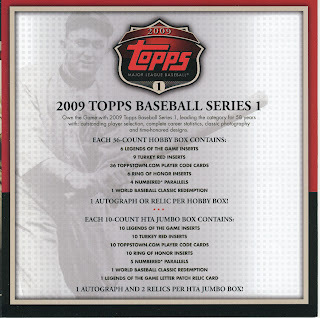 It is official, we have pre-ordered a case of 2009 Topps Series One Jumbo. Normally, I personally don't have any real interest in series one Topps, or series two for that matter. After reading the inserts, ratio, and autographs I had to have this. I was reading this all to Sooz on the phone while secretly wanting this, and then she said she agreed with my opinion. 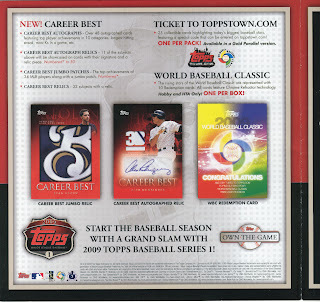 I snagged this brochure/sales pitch from work so everyone could see the preview of what the cards will look like. 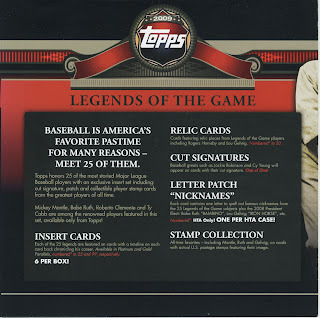 After seeing this it made me actually excited for Topps, for once. Of course you all know who I am hoping to pull from this case, however there are alot of great players and legends in the mix which is pretty good for Series One. 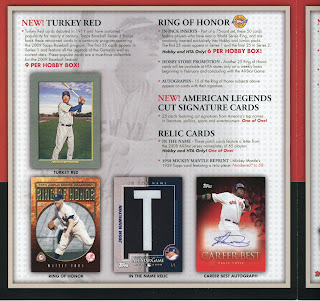 Even Turkey Red inserts, which makes me wonder what they are going to do with that series from then on. 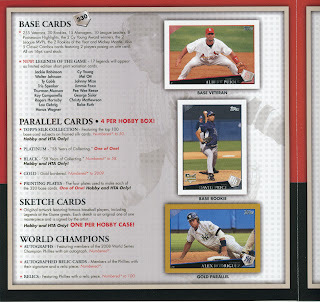 I have opened two HTA boxes of topps series one and have had a blast doing it. The base set design is a little blah but better than last year. The inserts are also an improvement. 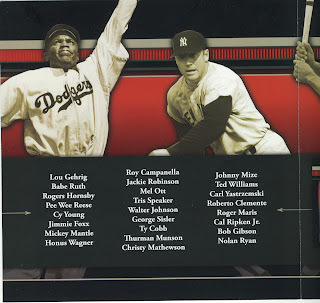 The Legends of the Game set is my personal favorite, the color and design and photos are excellent. 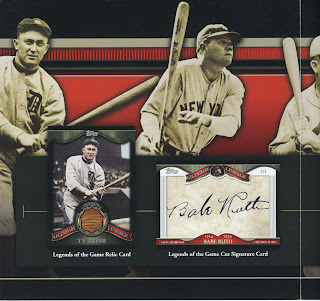 The HTA box has two "relics" and one auto. The autos are as usual: good luck getting a cut signature or one from "group A". I put a quote around the word relic because of the commemorative patches. There is nothing about them that is a relic except the subject matter. 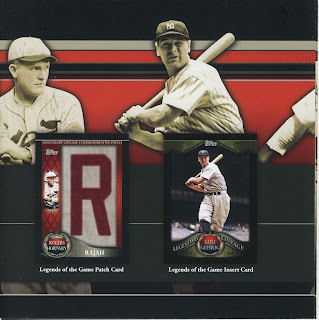 I pulled a Mickey Mantle commemorative patch letter from both boxes, each numbered to 50, but they are factory generated and the Mick certainly never wore them. The other relics are game worn/game used and I did get a Ryan Howard jersy card. The rookie redemtions are back with a World Baseball Classic spin and I've heard there are only 10. However, you need to enter the redemtion number to know which of the ten you will get. Last years had the number right on the card with the "Red Hot Rookie Redemtion" which was much cooler. Between the two HTA boxes, I pulled one printing plate and two black cards, two WBC redemtions and a ton of inserts and rookies, but none of the variations I'm seeing everywhere. Overall, I love the new topps set. I'm leaving now to get another box (it seems to be an addiction). Let is know what you get. 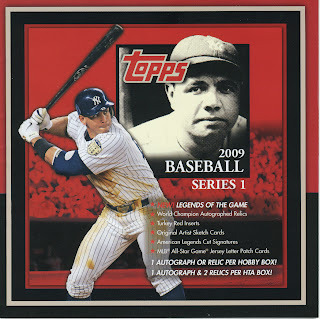 Check out our 2009 Topps review . We opened an entire jumbo case.